Bring in the cheer anywhere this year with the king of all snow machine fluids. It's as easy as just opening the bottle and pouring it in and you'll have a snowscape in a matter of minutes! 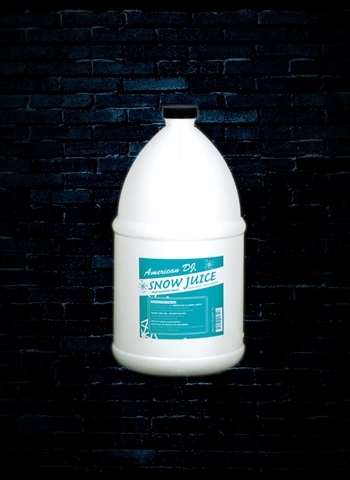 The ADJ Snow Gal Snow Juice will give you the largest, densest, and most realistic snow bubbles possible. You can play in this snow, dance in it, build a snow man of sorts, give yourself a snow beard, the possibilities end when your crowd is too exhausted from having fun. Make the right choice for your party setup today and let it snow the best, with Snow Gal Snow Juice from ADJ.